We are delighted to offer this 2010 Aston Martin DBS. Presented in Casino Royal paint. This car has a phenomenal specification including, Projector Xenon Headlights, DBS Logo Embroidered on Seats, Multi Functional Leather Steering Wheel, Cruise Control, Paddleshift, Trip Computer, Memory Seats, Electric Seats, Heated Seats, Climate Control, Air Conditioning, Heated Rear Screen, Crystal Key, CD Player, Aux Input, USB Input, Full Colour Satellite Navigation, Gloss Piano Black Interior Trim, Carbon Ceramic Brakes, Multi Spoke Silver Alloy Wheels, Bang Olufsen Surround Sound System. 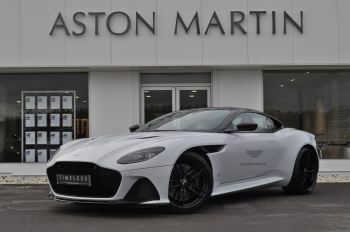 Aston Martin Birmingham are delighted to offer this beautiful DBS Superleggera finished in eye catching White stone with complimentary duo-tone interior of Blue Haze metallic and Argento metallic leather to contrast. The new DBS Superleggera is a meticulously handcrafted Grand Tourer with beauty and performance in equal measure .The DBS has 715 BHP and 900NM of torque will reach 0-60 in a impressive 3.4 seconds. This DBS has the benefit of the following options, Gloss Black Forged twin spoke wheels, Bang & Olufsen Beosound audio, Ventilated front seats, Triaxial quilting, Aston Martin Tracking, Satin Silver jewellery pack, Power seat bolsters, Aston Martin wings headrest embroidery, DBS placed perforation, Garage door opener, Base floor mats, Piano Black trim inlay, Warm charcoal seatbelts, Carbon gloss tint roof panel, Smoked rear lamps, Carbon gloss tint roof strake, Quad Matte Black stainless steel exhausts, Carbon gloss tint mirror caps, Black Carbon gloss tinted body pack, Black fender Louvre, Black brake calipers. This low mileage ex demo DB11 comes with just a few hundred miles and the benefit of 5 years free Servicing and in 007 Skyfall Silver Paint. Call now for a Test Drive , ready to go ! 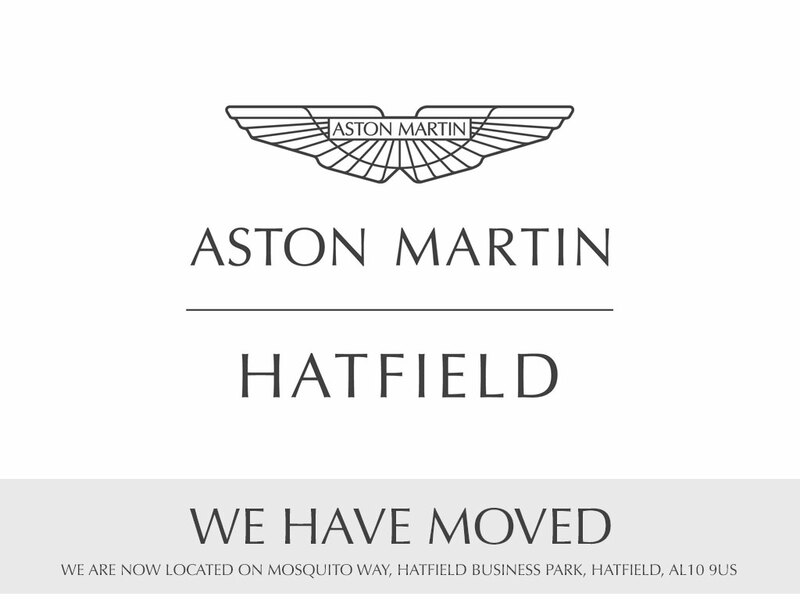 Aston Martin is a name that needs little introduction. 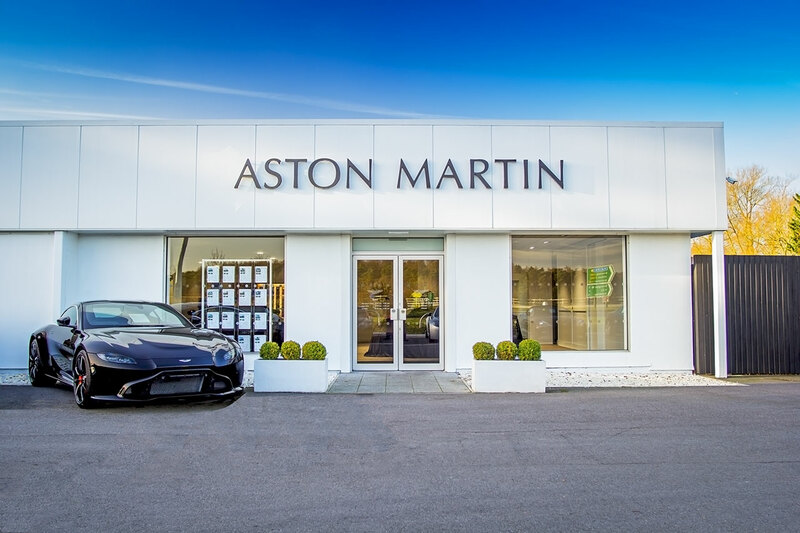 It has always stood for thrilling yet civilised high performance sports cars, designed and produced by skilled craftsmen. When the company was started in 1914, its founders believed that a sports car should have a distinctive and individual character. 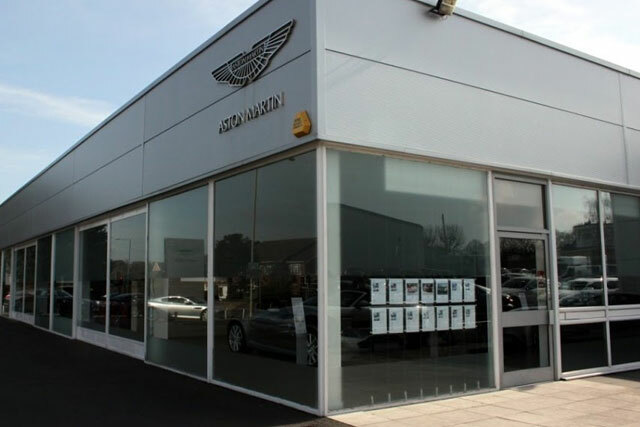 They felt it should be built to the highest standards and be exhilarating to drive and own - many things have changed over the ensuing ninety plus years, but those goals are still very relevant to the company today. 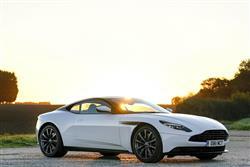 An Aston Martin combines three important elements: power, beauty and soul. 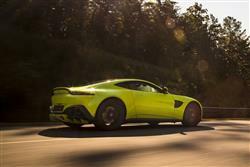 Aston Martins are truly special - they always have been and always will be.